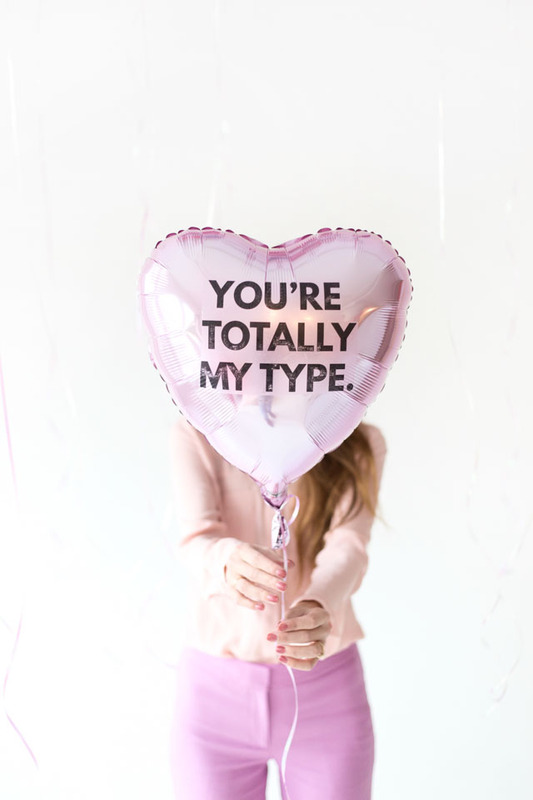 10 Valentine’s Day Balloons That are Better Than Roses! 1. 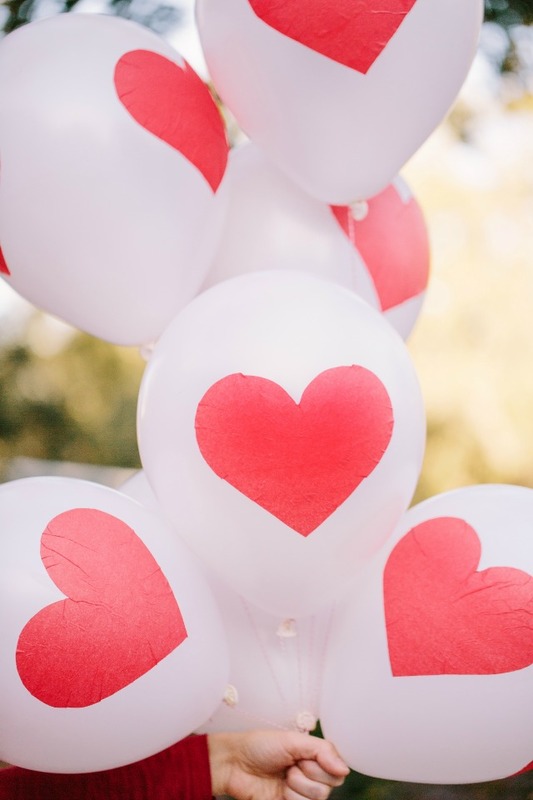 Make your own heart balloons simply from tissue paper and Mod Podge! Tutorial here. 2. 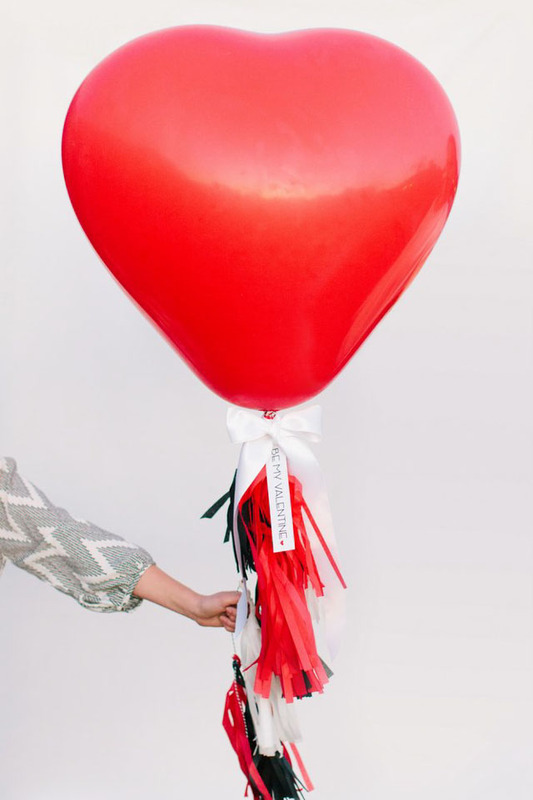 Tie a special message & some tassels on a giant heart balloon. Tutorial at DIY Network. 3. 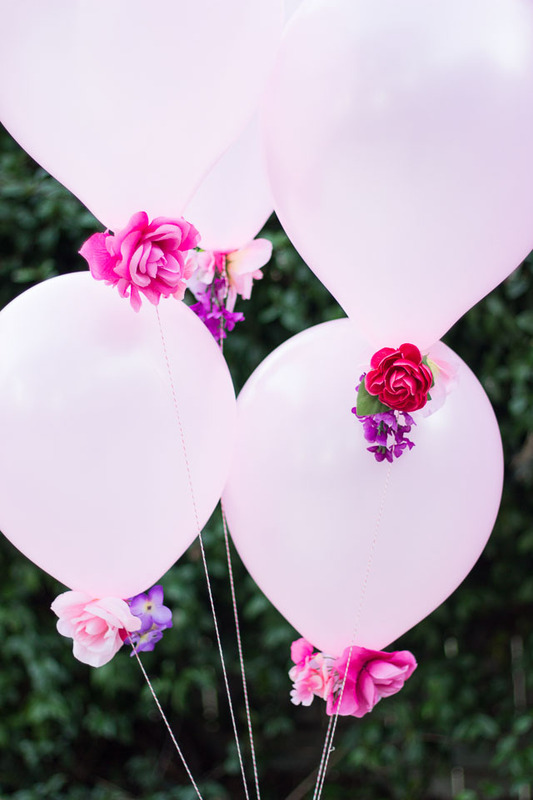 Add pretty dollar store blooms onto balloons with a dab of hot glue! Tutorial here. 4. 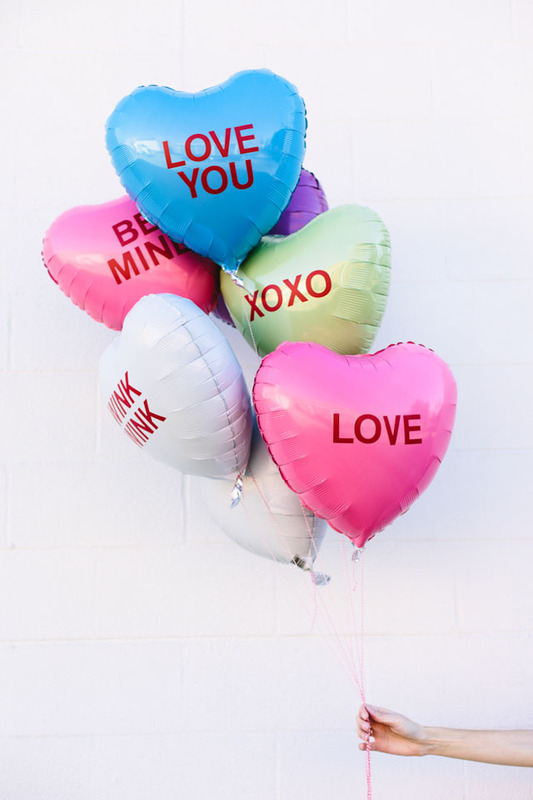 Transform balloons into candy hearts with vinyl letter stickers! Tutorial at Studio DIY. 5. More fun conversation hearts made with tattoos (genius!) from Studio DIY. Tutorial here. 6. 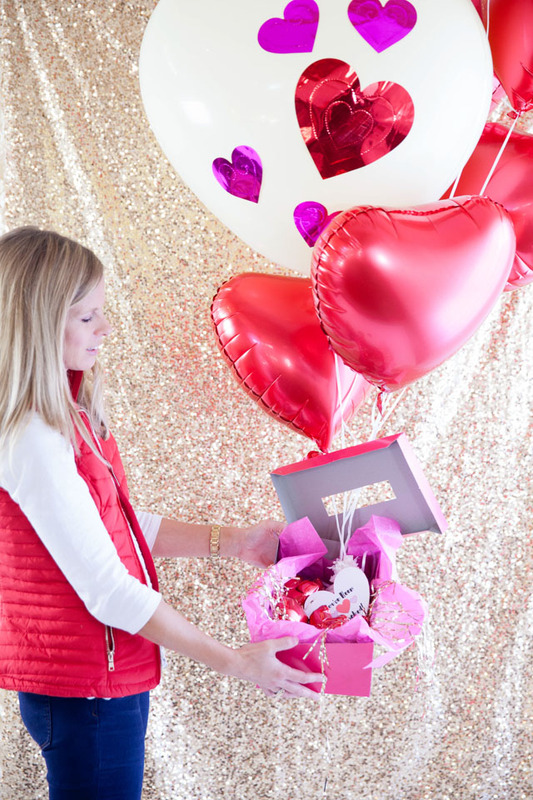 Let the recipient have the fun of inflating the balloon by attaching it to a Valentine. 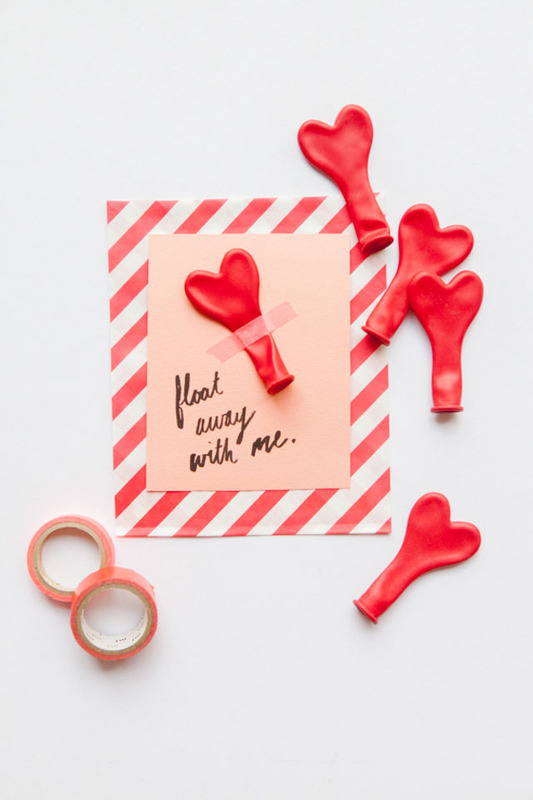 “Float away with me” Valentines from Oh Happy Day. 7. 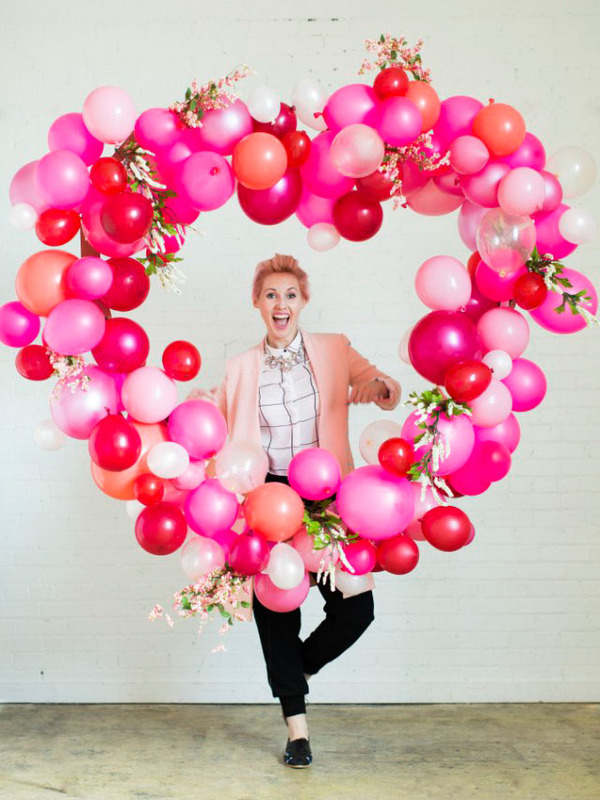 Go big with these giant cupid arrow heart balloons from Studio DIY. 8. 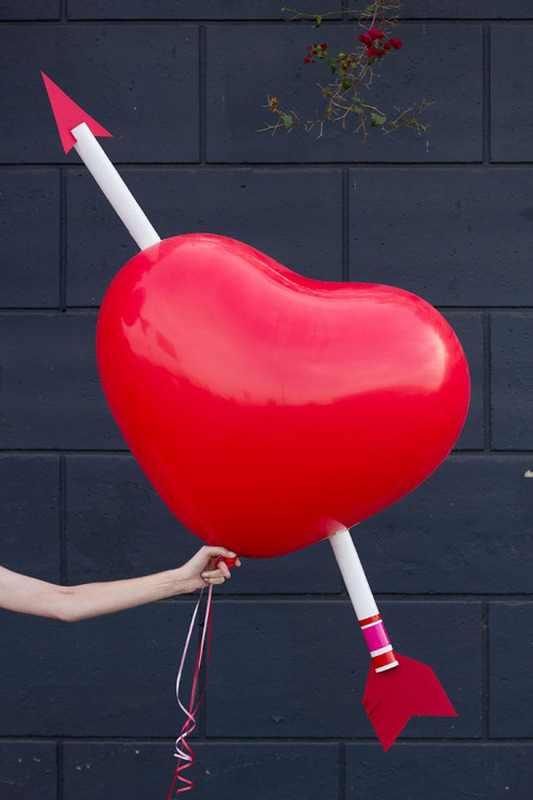 Surprise someone special with a “heart attack” – a big heart-filled balloon bouquet with a message attached. Tutorial here! 9. 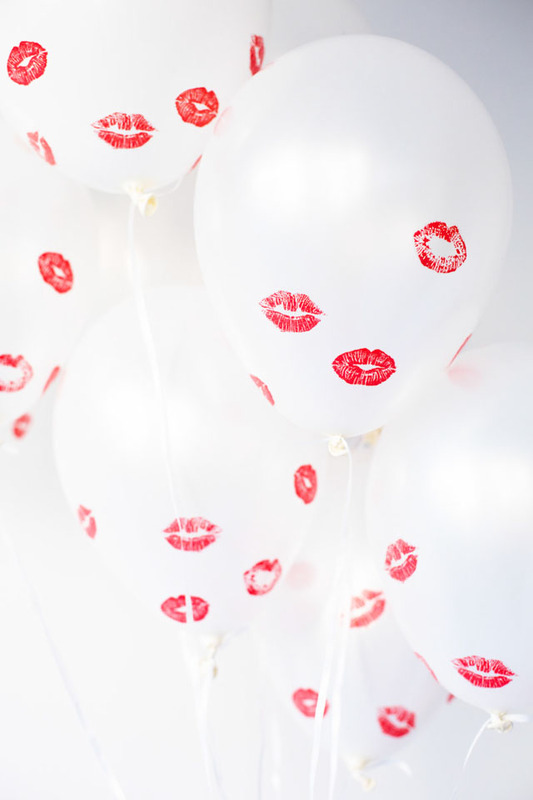 Send your Valentine a bunch of smooches with these “Pucker Up” Sticker Balloons by Studio DIY. 10. Want to REALLY make a statement of your love? Then this Valentine’s Day balloon arch from The House That Lars Built is just what you need!